The Non-stick Sandwich Roasting Bag is made of high quality woven fiberglass with uniform PTFE coating on both sides. It offers excellent non-stick performance and is able to be reused for years. 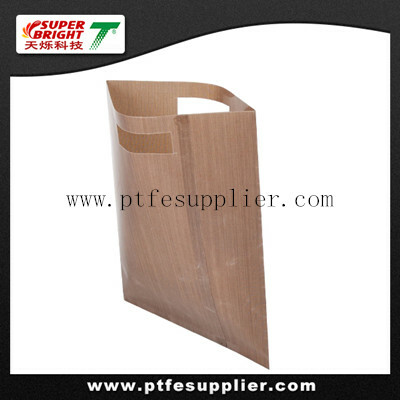 Oil stains or oddments are easily removable from bag’s surface. With breads, sandwiches packaged for toasting, our non-stick toaster bag can effectively protect the toaster against spills and messy drips and prolong toaster’s usage life. In the Non-stick Sandwich Roasting Bag you can prepare toasted sandwiches, garlic bread, slices of toast in an ordinary toaster, grill or toasted sandwich-maker.